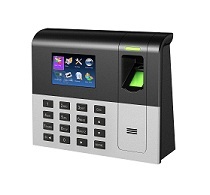 Wipaq offers an innovative biometric fingerprint reader UA-200 for time and attendance purpose. The UA-200 attendance machine provides great performance with reliability, accuracy, and speed with an advanced algorithm. UA-200 fingerprint reader has a high-quality optical sensor for better matching and performance.